After a years-long battle, a client of ours was recently sworn in as a United States citizen after his naturalization victory. Why is this significant? Because in 20 years of practicing immigration law, it’s difficult to recall the government being so fiercely opposed to naturalizing someone. Over a decade ago, our client – a U.S. lawful permanent resident – was engaged in serious criminal activity. In 2003, he was arrested and pled guilty in federal court to possession with intent to distribute 5 kilograms of cocaine and 1,000 kilograms of marijuana. Under U.S. immigration law, a conviction for possession with intent to distribute a controlled substance is an “aggravated felony” – resulting in near mandatory deportation and permanent ineligibility for naturalization. 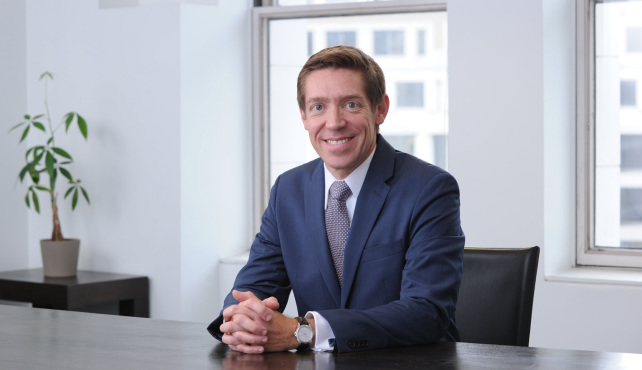 In fact, his cooperation was so significant that the U.S. Attorney’s Office and our client’s defense counsel filed a joint motion to dismiss the drug trafficking charges to which he had already pled guilty – an exceptionally rare occurrence. His record was subsequently expunged, he was never placed in removal proceedings, and he continued to live, work, and raise his family in this country as a permanent resident. In 2011, he applied for naturalization. Following an initial interview, U.S. Citizenship and Immigration Services (USCIS) denied the N-400 Application for Naturalization, explaining that our client is permanently barred from naturalizing due to his conviction for an aggravated felony. But wait a minute. The law is clear that a “conviction” requires both a judgment of guilt or guilty plea and the imposition of some restraint on liberty, such as a prison sentence or term of probation. Our client was never sentenced and the charges against him were ultimately dismissed and expunged. We reasoned that no sentence means no conviction, thus our client should not be barred from naturalizing. We filed a Form N-336 administrative appeal, explaining why USCIS’s decision was wrong as a matter of law. Angry and frustrated, we concluded that USCIS was simply attempting to avoid making a decision, so 30 days after the N-336 hearing we sued them again. 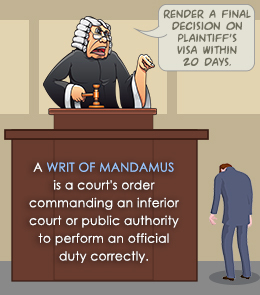 The second mandamus compelled the agency to issue a new decision on our client’s naturalization claim. This time around, they withdrew the prior denial and grudgingly conceded that we were right as a matter of law that no “conviction” ever resulted from our client’s guilty plea. However, they then declared that the N-400 would be denied anyway, on an entirely different basis – because our client is allegedly lacking in good moral character owing to his admitted past drug trafficking activities. Not so fast. 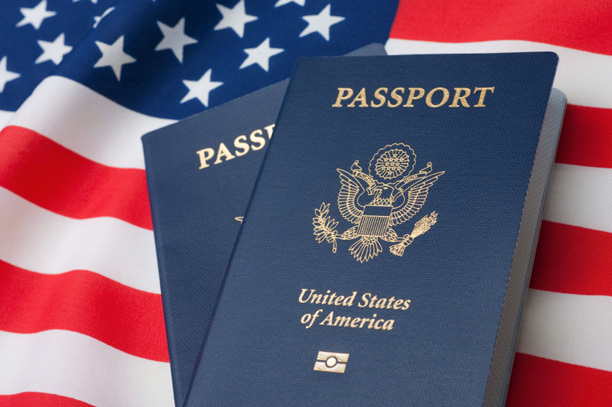 The period during which an applicant must demonstrate good moral character for naturalization purposes is 5 years prior to filing the N-400, and our client’s criminal activities were well outside the statutory 5-year period. Under the statute and the regulations, conduct outside the period can be considered, but only if the applicant’s conduct during the period shows a lack of reformation or rehabilitation. A nd our client’s conduct during the statutory period had been beyond reproach. So once again we concluded that USCIS’s decision rested on legal error, and we had no choice but to sue them. Again. This time, we filed a petition for review of naturalization denial in U.S. district court under INA 321(c), asking the federal judge to assume jurisdiction, review the case de novo, and grant our client’s citizenship claim. The agency responded by reopening the case, asking for additional evidence, and scheduling yet another interview. Once again we went to USCIS, and this time a new, senior officer had been assigned to the case. She was prepared, familiar with the file, had researched the law, and told us that the case would likely be approved. All told, it took four years, three interviews at USCIS, and three federal court lawsuits to force the government to simply abide by the law and grant this naturalization claim. 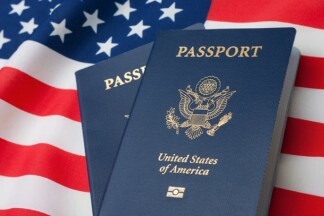 But the tough cases are always the most rewarding, and our client is now a proud and deserving United States citizen. Perseverance. Congratulations on a job well done, Tom.